…how you make a living! And that’s not easy! Most ultrapoor families struggle with even keeping food on the table and a roof over their heads. Things like buying medicine, sending children to school and paying for electricity are difficult, if not impossible. In Transform’s Livelihood lessons, trainers teach the participants how to bring in more income and manage their money effectively. With 30 different business options, the trainers can tailor their lessons to fit the local community. 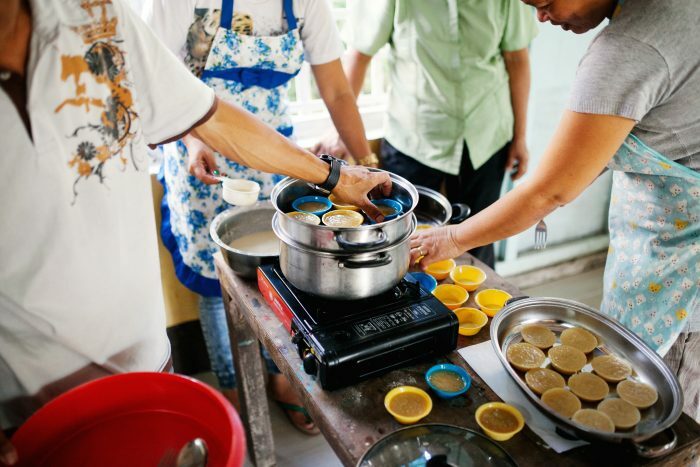 They might learn how to make snacks like banana cakes, strategies for selling their products and how to plan ahead to buy ingredients for their next batch. Participants also have the option to take out low-risk loans of “business-in-a-box” starter kits so they can immediately start running a businesses out of their homes. The kits include all of the raw materials needed to run the business for a week, giving them the chance to earn money and pay back the loan. As people achieve entrepreneurial success they never thought possible, confidence grows and sustainable livelihood becomes a reality! Merly was one such participant. This housewife didn’t know how she could help her carpenter husband support their five children, and money was always tight. 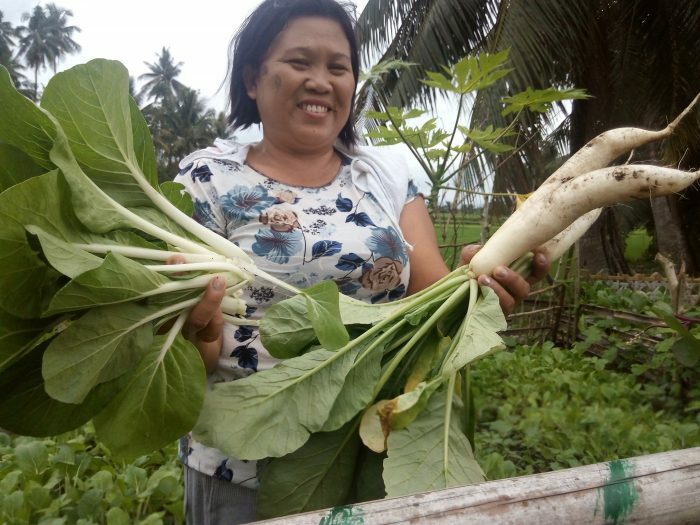 When she started taking Transform classes, she realized that she could use the empty land next to her house as a garden. Using the seeds in the garden-in-a-box kit, she started her own vegetable business. Now she can take care of her children and also earn income through selling fresh produce! She’s adding PHP300 (US$6.34) to the family budget. Recently she was able to buy cups and plates, a welcome help at mealtime. And now the family can enjoy fresh vegetables on their new plates when they eat together.